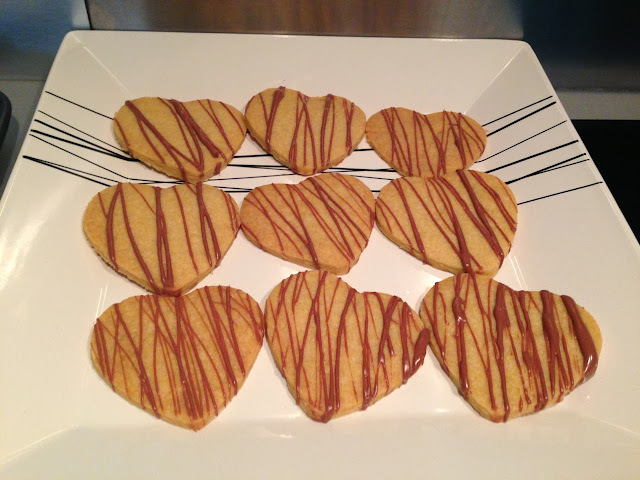 One of the first things I made when I moved into my flat were these shortbread hearts. They're really simple and the recipe makes lots so they're perfect to share. I used this BBC recipe which uses just three ingredients and doesn't take too long either. 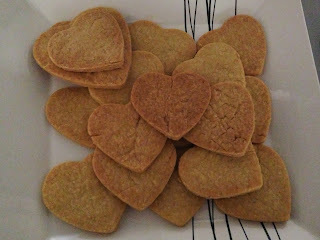 2oz (55g) sugar, 4oz (125g) butter and 6oz (180g) plain flour. 3. Stir in the flour to get a smooth paste. 4. Roll out to around 1cm thick. 4. 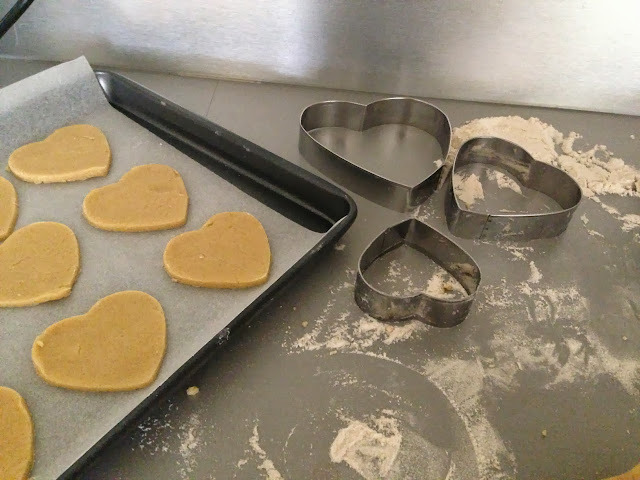 Cut into shapes and place onto a baking tray. 5. Sprinkle with caster sugar and chill in the fridge for 20 minutes. 6. Bake in the oven for 15-20 minutes and allow to cool. 7. 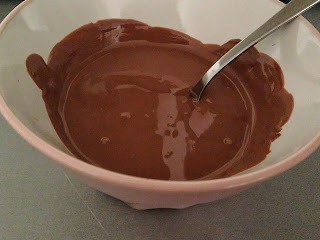 Melt a bar of chocolate of your choice and drizzle it over the biscuits in patterns.